Fr. 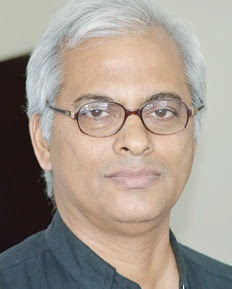 Thomas Uzhunnalil, the Catholic priest, who was captured on March 4th is said to be "safe", a journalist based in the Middle East has informed this blog. The Minister of External Affairs of India, the Honorable Sushma Swaraj, informed a delegation from the Catholic Bishops Conference of India (CBCI) that negotiations are underway for the safe release of Fr. Tom. "Ms. Sushma Swaraj has categorically assured the CBCI delegation that Fr. Tom is safe and that the government is adopting all possible means for the quick and safe release of Fr. Tom". No further details can be divulged due to ongoing negotiations, as "it would endanger the process of the release itself", said our source. The External Affairs Ministry of India is also working tirelessly to obtain the release of Sr. Rema, the sole surving Sister of Charity of the terrorist attack in Yemen. Minister Swaraj also informed the delegation that the continued spreading of rumours that Fr. Tom has been harmed are completely baseless. Please continue to pray for Fr. Tom and Sr. Rema.